As soon as we landed in Lanzarote my first reaction was : Why the hell is this the first time I come here?! our home for the next few days: VILLAS DE LA MARINA. 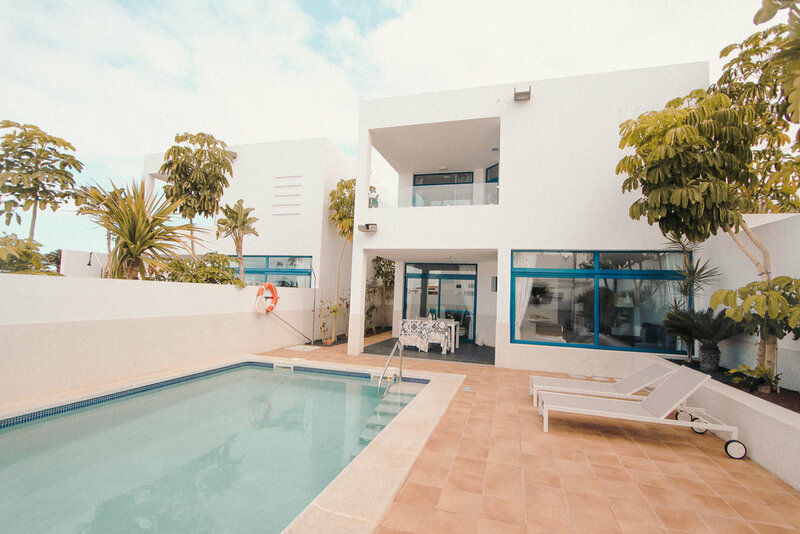 The villas are situated in the heart of Playa Blanca at the very south of the Island and you truly immediately feel like at home, at your summer house. After the gates open you have a parking spot for the car (very convenient) and a beautiful entrance where you can get a look at the whole house through the glass windows that characterise the villas. Almost forgot… The pool! I neve thought we would have the time in only 3 days to enjoy the pool, but the water is so warm and inviting that you literally give up and jump in! The Villa is very spacious: 3 double rooms/ 4 bathrooms/ 1 kitchen, living room and communicating balcony. 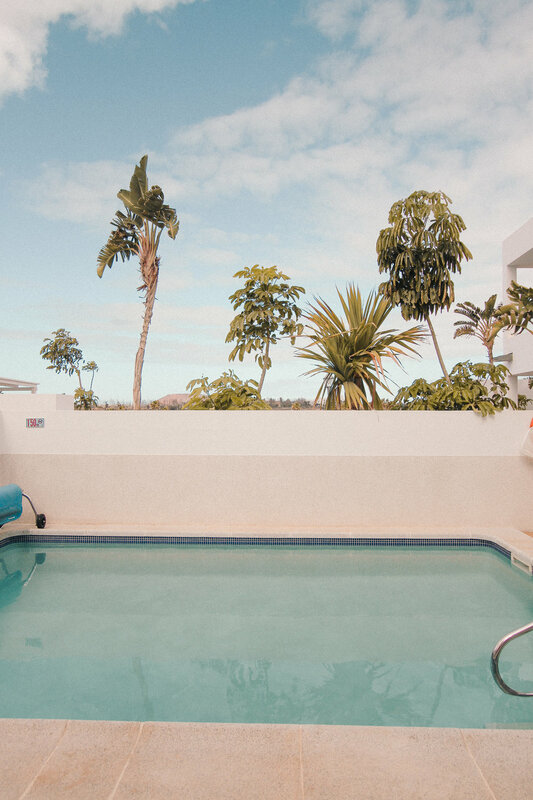 It feels like the perfect place to book if you are planning to visit Lanzarote with your friends or with your family! Our Villa was number 7 "Villa Schooner"
One more thing I’d like to point out is that we managed to do so much in only 3 days even if I am already looking forward to go back to see the things we didn’t get a chance to. Lanzarote is so WILD and FREE that you have to drive around and just stop and admire the views whenever you feel like it. We stopped the car SOOO Many times because you get so many different scenarios in very few kilometres. - El Caleton Blanco (I LOOOOVED This beach so much!!! and it was so much fun to see how the sea would retire and come back to fill the beach with water in just a couple of hours it moved so much!!! - El Mirador del Rio (where do I even begin. THIS- SPOT-IS-INSANE. You are on top of the world and mother nature is just straight up showing off all of her power and beauty all at once. We didn’t really have time to appreciate the bar inside, I am going back just to go up there and get the longest coffe and drinking it while enjoying the view.